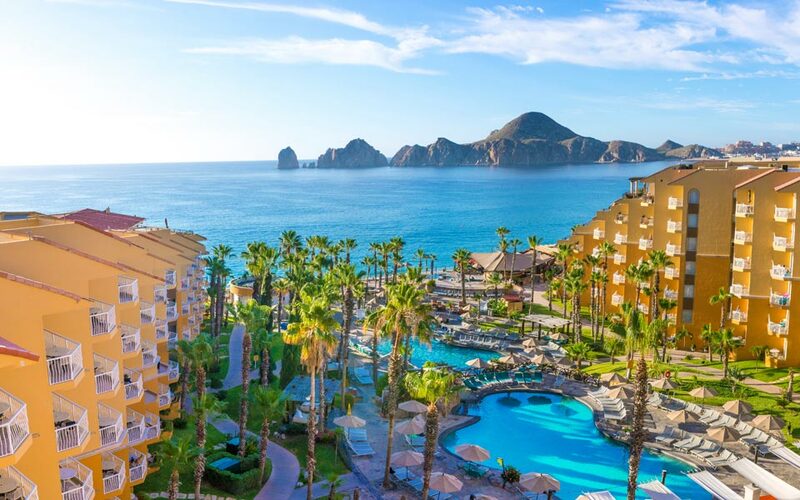 Mexico is the land of enchantment and with so many beautiful places to visit, it can be difficult to choose the perfect beach destination for your Mexico vacation. On the nation’s Pacific coast, Puerto Vallarta, Mexico will seduce you with scenery, intrigue you with history, and tease you with flavor. All with a relaxed vibe, the city and its surroundings are guaranteed to take your breath away, leaving you to fall in love with everything about Puerto Vallarta. It has a unique combination of beauty, romance, natural wonders, and nightlife, and with the exquisite Sierra Madre Mountains curving around the glistening Bay of Banderas, ecotourism and adventure are abundant. 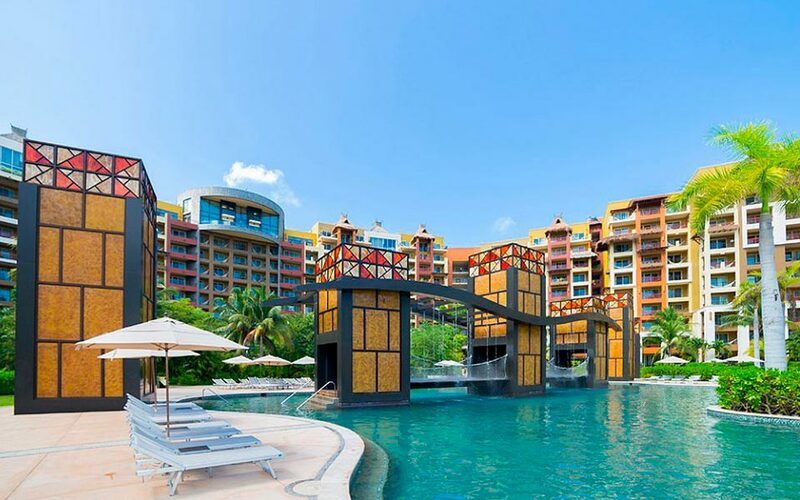 There is also a wide array of bustling clubs, cultural galleries, and colorful shopping to keep all those who visit Puerto Vallarta enthralled during their stay. Dining can be as simple as enjoying the late night taco stands to indulging on the many gourmet options from the diverse Puerto Vallarta restaurants. Visitors can additional indulge in relaxing spa experiences where the best massage in Puerto Vallarta is right outside your hotel door. 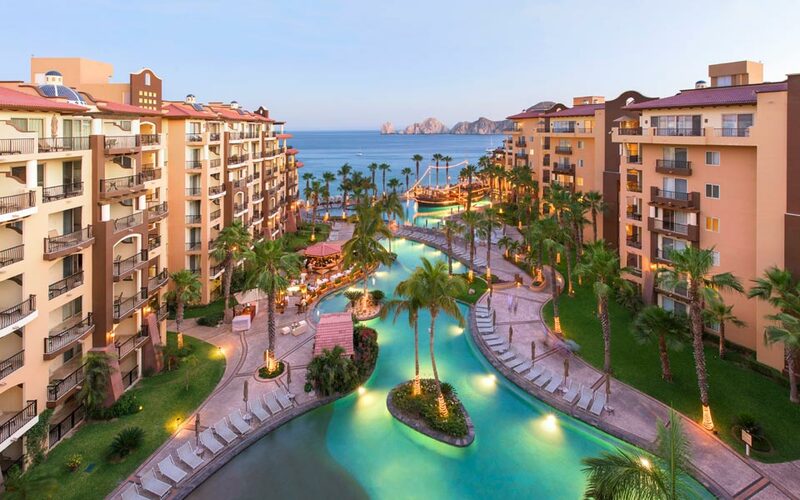 This is one seductive getaway sure to capture your heart, soothe your soul, and make you to rethink your favorite destination in Mexico. 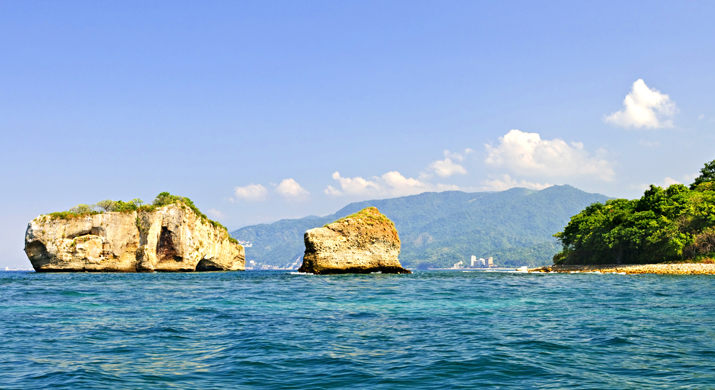 Sun-kissed breezes, azure waves, water sports galore, and some of the top restaurants in the country are part of the things about Puerto Vallarta that so many fall in love with. 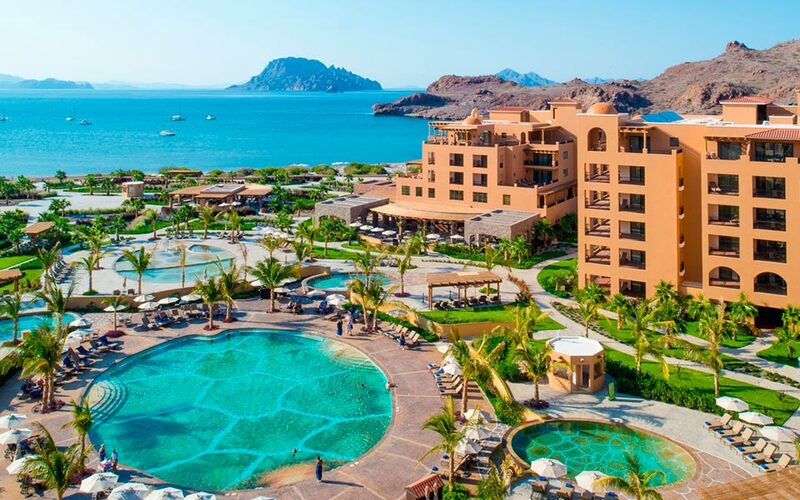 However, this amazing beach destination also offers Mexican colonial architecture back-dropped by jade covered hills, lush jungles, and secluded nature preserves, providing just the right amount of relaxation, adventure, and everything in between. There are numerous protected flora and fauna species, and it is known for having the best beaches in Latin America (so says Conde Nast Magazine). There's also a bit of Hollywood glamour. It is here where The Night of the Iguana was filmed and where the romance between Richard Burton and Elizabeth Taylor made national headlines years ago. 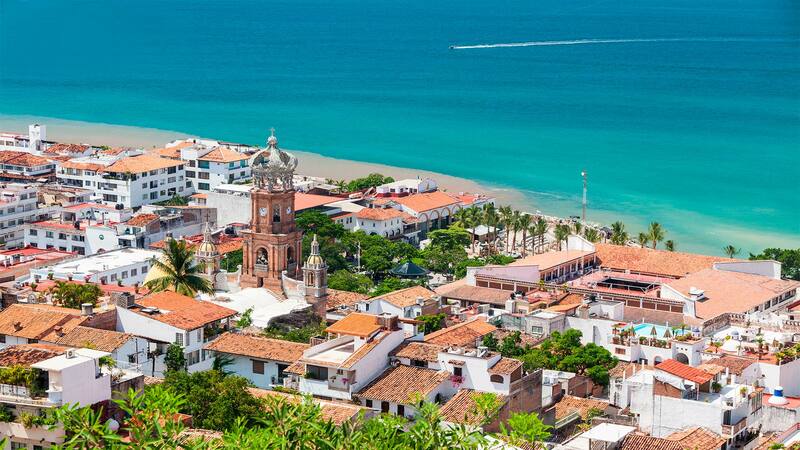 Puerto Vallarta, Mexico is rich in dynamic history from the Azatlans to the Huichols to the Spaniards; it is a city rooted in culture and tradition. This is found in the color, the people, and of course the food. With salsa from smoky to spicy and frosty margaritas or ice cold horchata, your taste buds will come alive. If you're ready for a sensory smorgasbord, this is the destination in Mexico to experience it al. 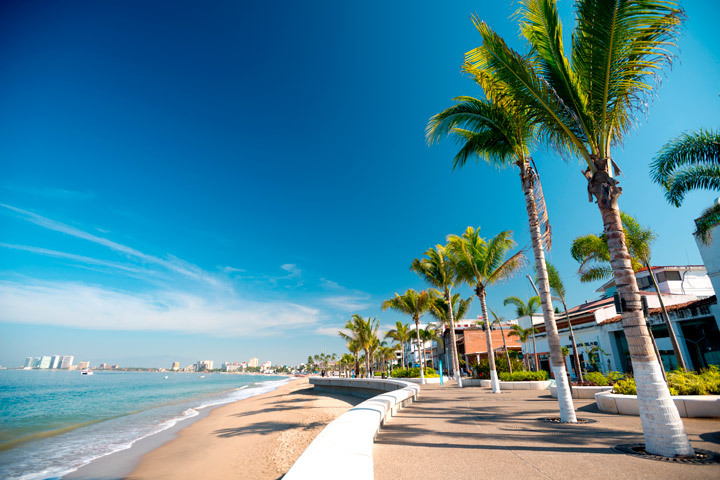 Sun-kissed breezes, azure waves, water sports galore, and some of the top restaurants in the country are part of the things about Puerto Vallarta that so many fall in love with. 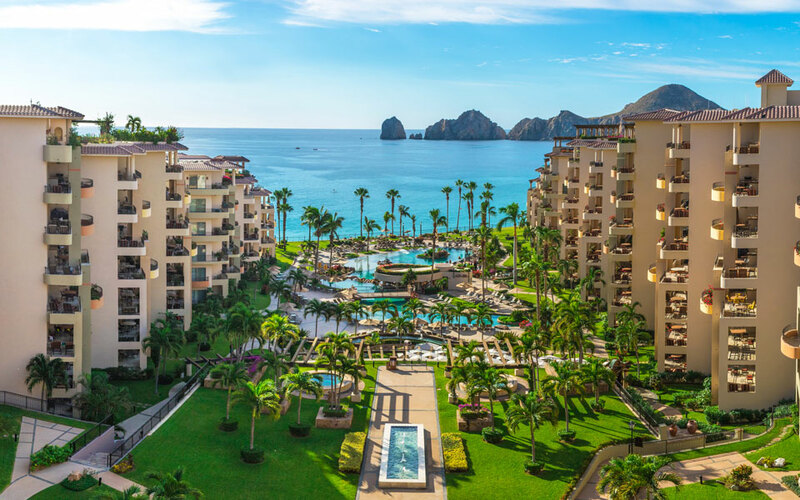 However, this amazing beach destination also offers Mexican colonial architecture back-dropped by jade covered hills, lush jungles, and secluded nature preserves, providing just the right amount of relaxation, adventure, and everything in between. There are numerous protected flora and fauna species, and it is known for having the best beaches in Latin America (so says Conde Nast Magazine). There's also a bit of Hollywood glamour. It is here where The Night of the Iguana was filmed and where the romance between Richard Burton and Elizabeth Taylor made national headlines years ago. 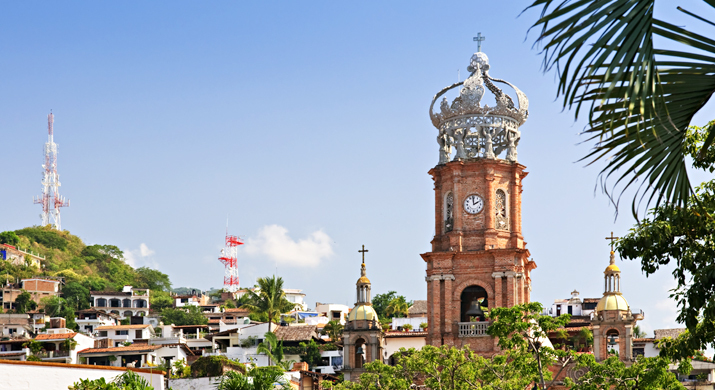 Puerto Vallarta, Mexico is rich in dynamic history from the Azatlans to the Huichols to the Spaniards; it is a city rooted in culture and tradition. This is found in the color, the people, and of course the food. With salsa from smoky to spicy and frosty margaritas or ice cold horchata, your taste buds will come alive. If you're ready for a sensory smorgasbord, this is the destination in Mexico to experience it al. Sampling haute cuisine at the best Puerto Vallarta restaurants. Puerto Vallarta, Mexico is located in the heart of the nation’s Pacific coastline and is encircled by the rugged Sierra Madre Mountains to the east and fronted by the Bay of Banderas. The Gustavo Diaz Ordaz Puerto Vallarta Airport is located four miles from downtown and is served by a wide variety of national and international airlines, many with nonstop flights. Flights arrive daily from Canada, the U.S, and Europe, as well as from South America. When arriving from a foreign nation, passports are required. Weather in Puerto Vallarta is pretty perfect. 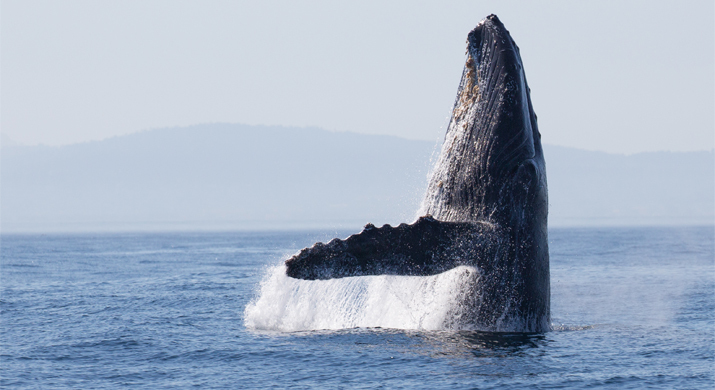 The average year-round temperature hovers around 25°C/78°F with an average water temp of 72 degrees. The climate is arid with only an average of 10 inches of annual rainfall coming about during rainy season. Its cooler months are December and January, and the hottest months are between August and September. 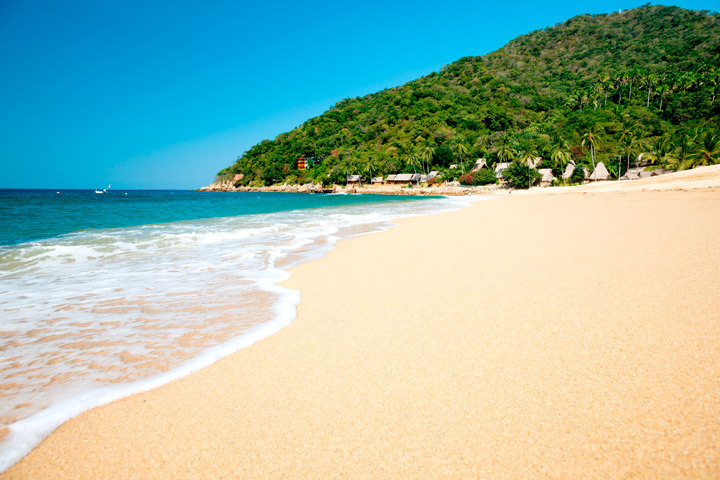 Summer temperatures range from 21-37°C/70-100°F, and winter temperatures range from 10-26°C/50-80°F making it the best time to visit Puerto Vallarta. 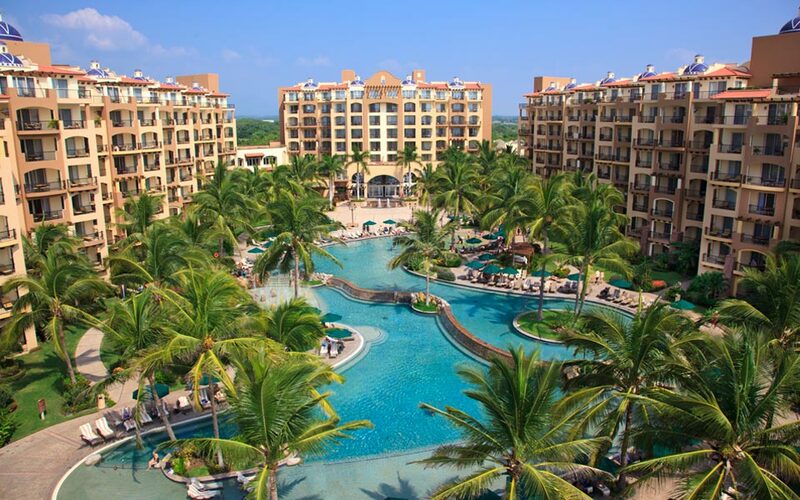 High season in this top destination in Mexico is December to March, with cooler temperatures and heavy tourism. 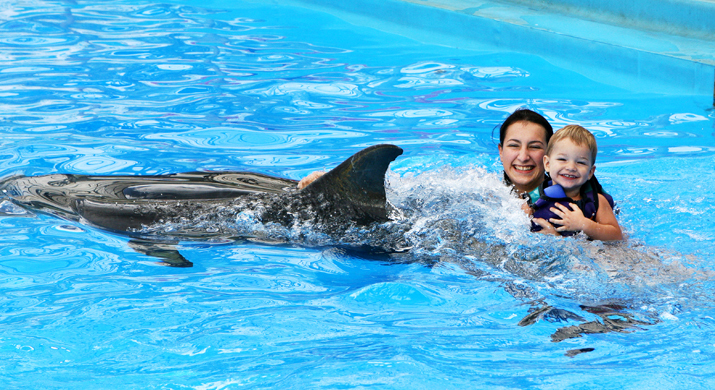 This is the time of year to enjoy the largest array of things to do in Puerto Vallarta and the exciting nightlife. April to November are the slower summer months providing a more personal look at the culture and biodiversity offered in Puerto Vallarta. 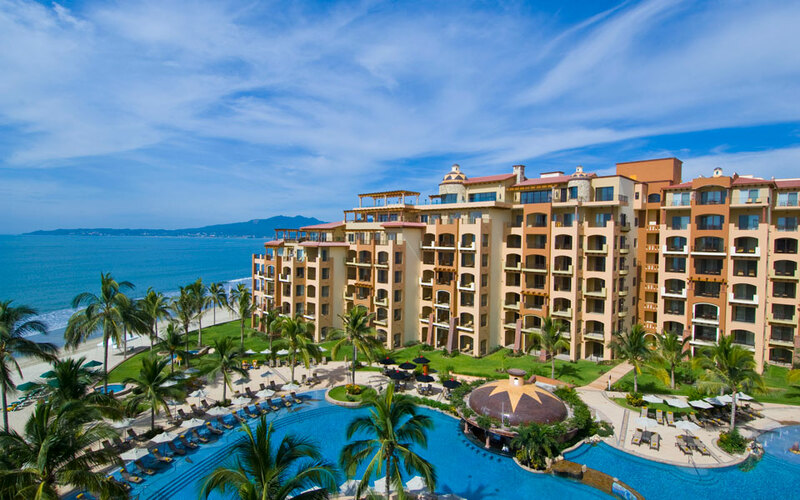 It is a great time for Puerto Vallarta family trips and laid-back getaways. The rainy season is June to October with the most spectacular storms in August and September. This is a time of relaxation and evening displays of lightning over the water. 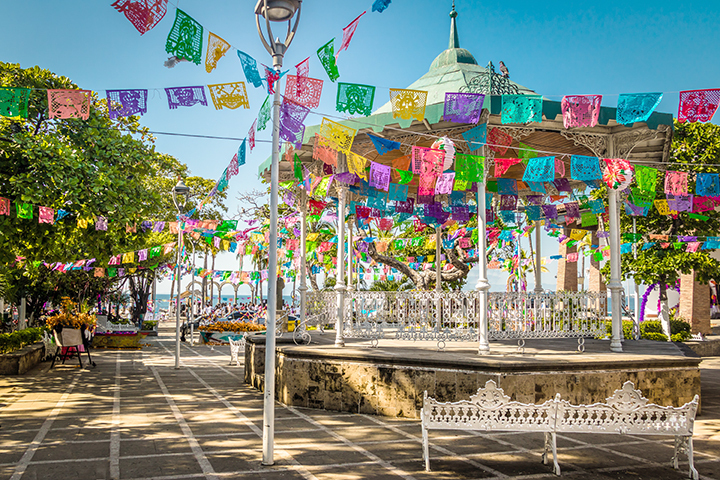 The Puerto Vallarta Malecon is host to the action for the city's May Day Parade on May 1st, with even more celebrations on Cinco de Mayo (May 5th) and a large party on May 31st celebrating the founding of Puerto Vallarta, Mexico. 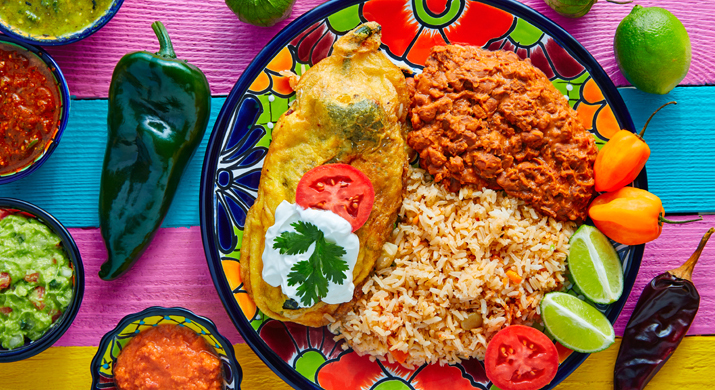 Artists take over the top destination in Mexico during the Art Festival in November, and this is also the time for the International Gourmet Festival which attracts chefs and foodies from all over the globe. December marks the Puerto Vallarta Film Festival and Christmas celebrations all month, and it is also during the first 12 days of December when large parades in honor of the Virgin of Guadalupe take to the streets just two blocks north of the Puerto Vallarta Malecon. January is ideal for New Year's parties and fireworks which light up the beach destination from one end of Banderas Bay to the other. If you are looking for something truly unique, July to December is the turtle release season for baby turtles to return to the sea. Take part in the action, enjoy the numerous Puerto Vallarta festivals, and indulge in the rich culture that abounds in the top destination in Mexico. 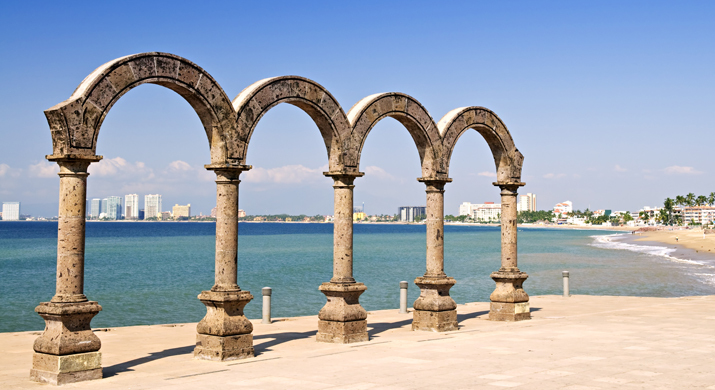 Puerto Vallarta, Mexico can trace its history back to the 1600s when Spanish conquistadors explored the coast. The area was later settled by farmers, fishermen, and mango and banana plantation owners. In 1918, it was officially named in honor of then governor Don Ignacio L. Vallarta. Puerto Vallarta remained a sleepy fishing village until it burst into the national spotlight in 1963 for the filming of Director John Huston's movie, The Night of the Iguana. The subsequent scandal of Richard Burton and Elizabeth Taylor's torrid romance put PV on the map as a gorgeous golden sand paradise bordered by jungle-covered mountains. 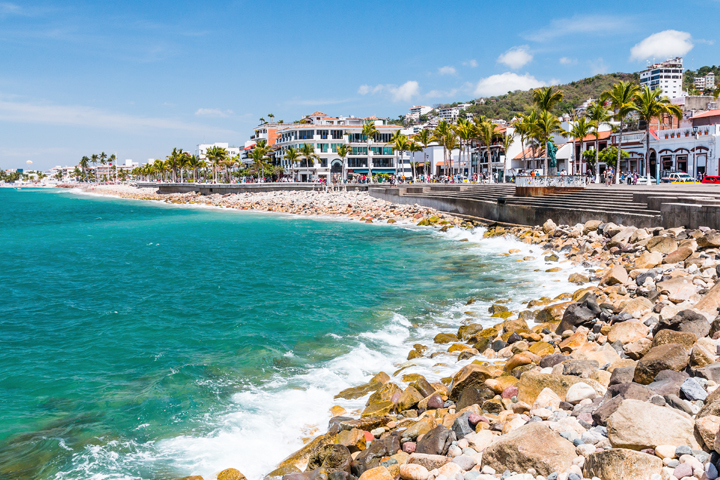 With all the publicity came a lot of building and commercialization, solidifying Puerto Vallarta’s role as one of the top destinations in Mexico. 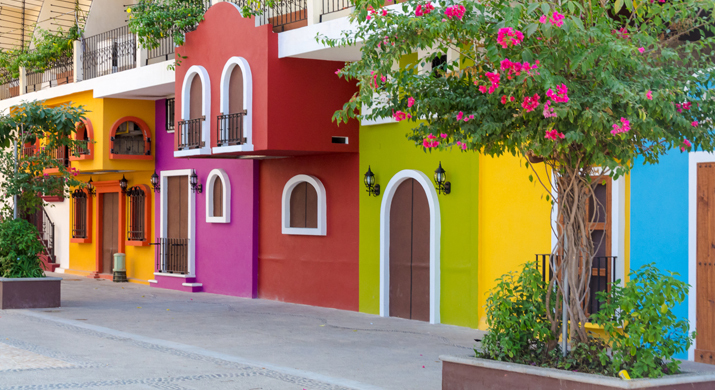 Though the area has grown considerably and features several distinct zones, it still maintains its "Old World" personality and charm that so many have come to love about Puerto Vallarta.